Picture postcards of a place were sent out to greet people in a distant place, at the same time inviting them to visually share an alternative landscape. One of the oldest communication devices, its open-format card relayed from one postal location to another, allowed its carriers to engage freely with its content. 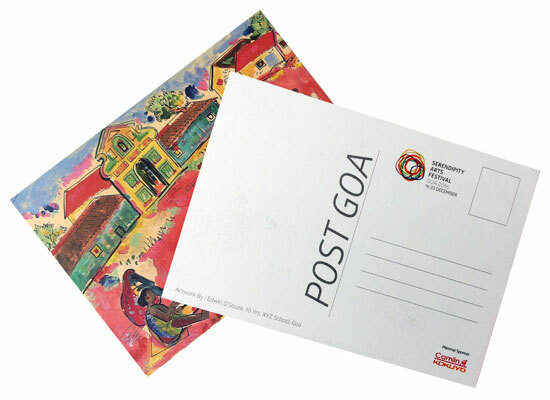 Following this line of thought, Post Goa offers children the scaled canvas of a postcard to openly share with everyone the way they see the world. The project is a unique way of offering children an opportunity to share their ideas about their geographical region as well as their world. The project has been conceptualised as a catalytic event through which youngsters get a platform to exhibit their work.